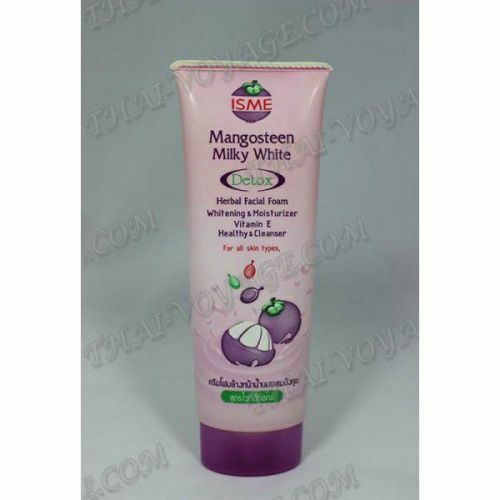 Foaming cream cleanser with extract of mangosteen Isme is suitable for all skin types. It gives soft bubbles that deeply cleanse the skin of impurities. Thai fruit mangosteen, which is a part of the foam, it is very beneficial to work on the skin to reduce its fat content, refresh and moisturize, leaving the skin clean and healthy. Application: squeeze a small amount of the cream on your hands and massage movements applied to the water-wet face. Then thoroughly wash the face with water.